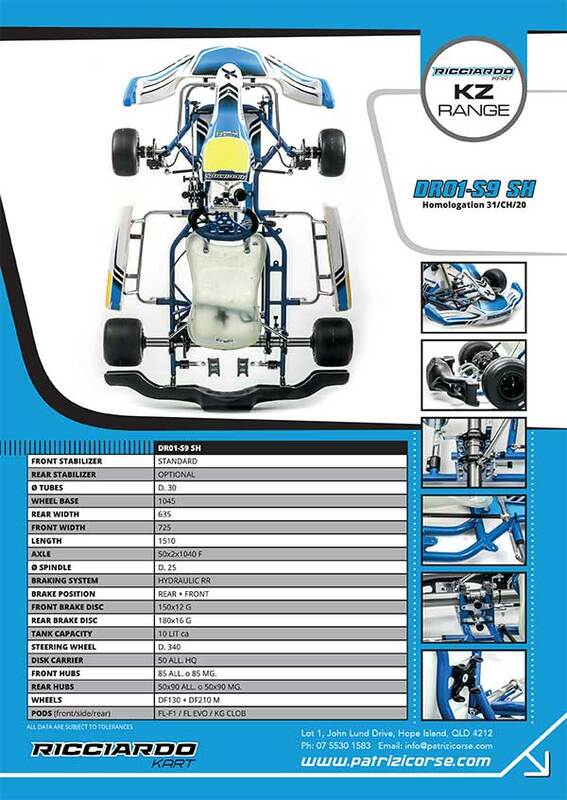 The new 2018 models for the new homologation period are identified by “S9”. 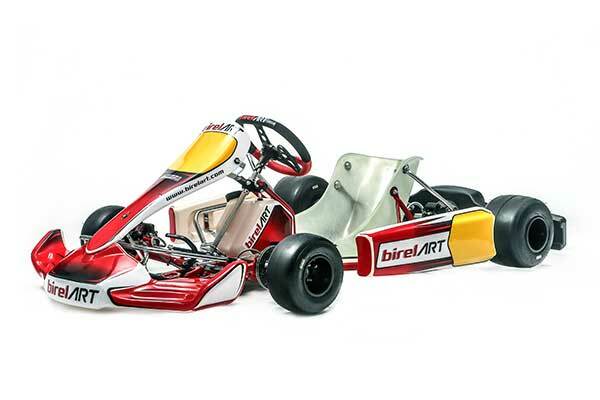 DR01-S9 DD (Homologation 32/CH/20): The simple and versatile the DR01-S9 DD has small structural and aesthetic upgrades to improve the performance, ease of use and look. 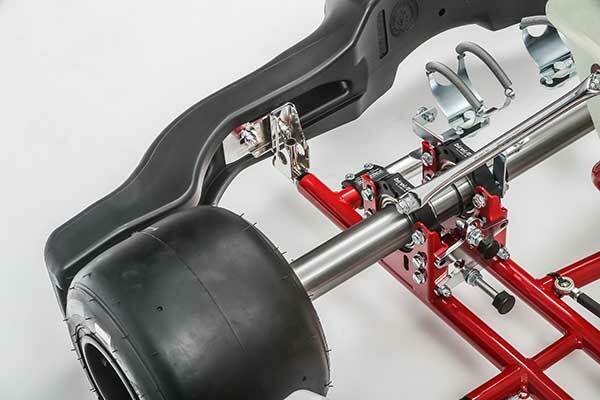 DR01-S9 SH (Homologation 32/CH/20): Developed specifically for shifter categories, DR01-S9 SH has undergone important structural and geometric modifications as well as materials to make it more versatile. 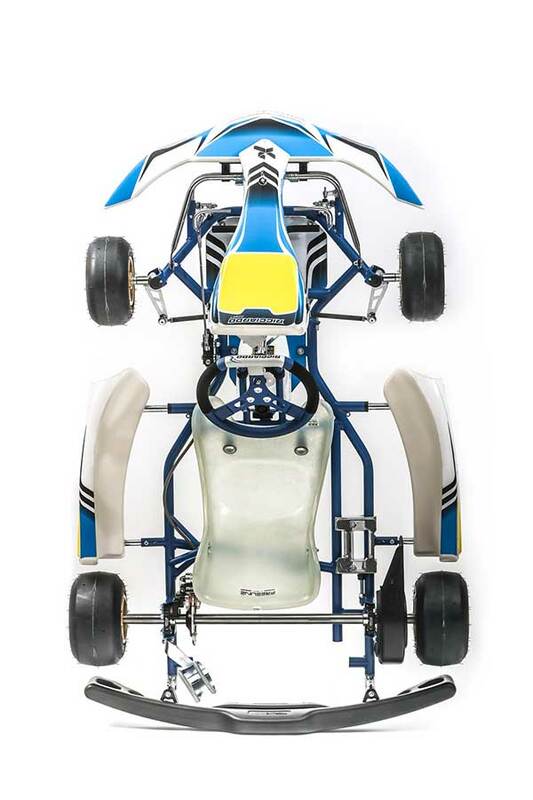 DR01-S9 RX: The frame for the DD2 Rotax category is well established and victorious. 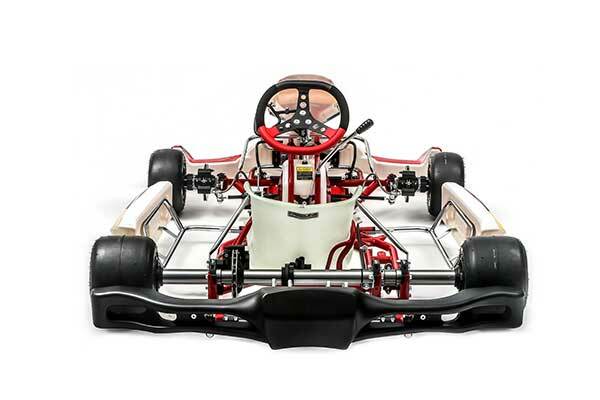 It has been updated in some parts to further improve driving and the performance specific to this engine. 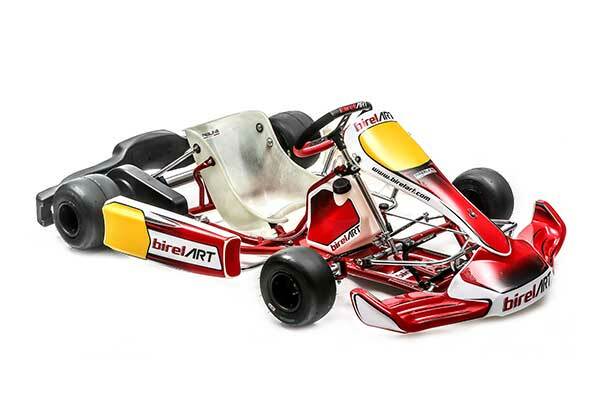 DR02-S9 RX: Based on the new homologation CIK kart, with 32mm tubes. 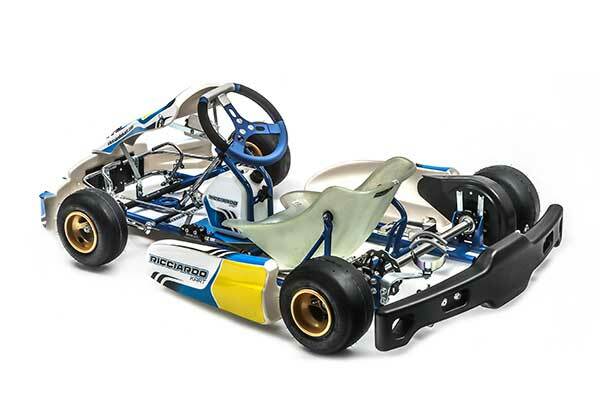 This chassis has greater grip than the DR01-S9 RX, adapted for slippery tracks and hard compound tyres. 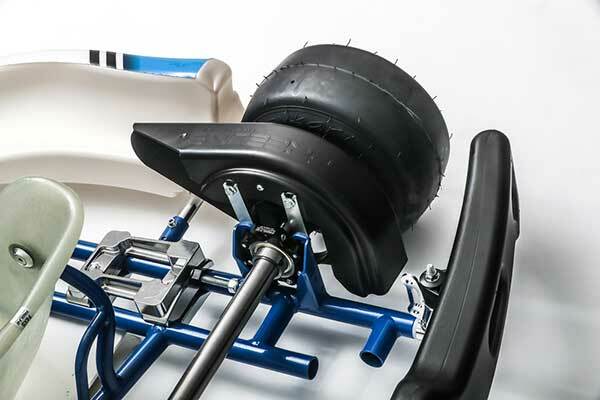 DR-C28-S9 (Homologation CSAI02/CH/14 – extended to 2020): The chassis for the Mini categories has undergone several modifications in geometry and materials to improve its performance and ease of driving. 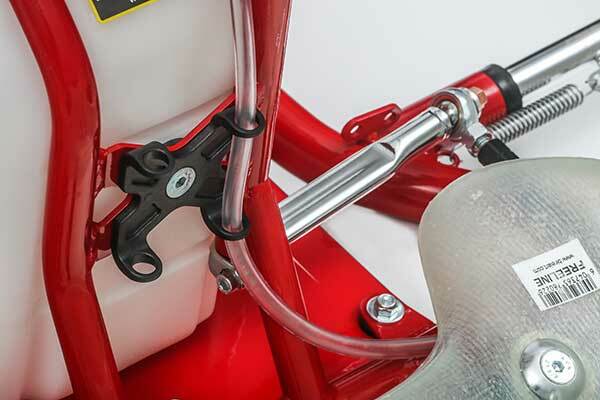 It comes with a new removable 4.5 litre petrol tank and new steering column that provides more options for the footrest. 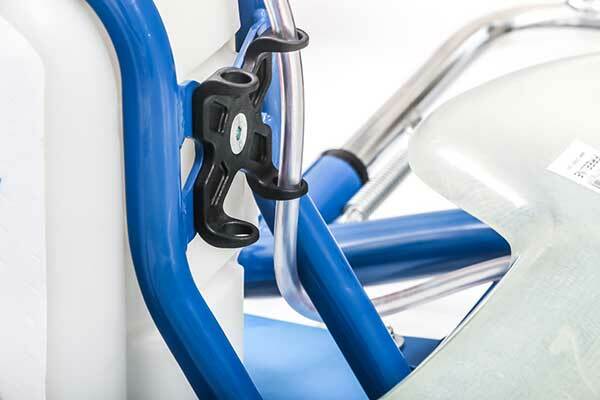 DR-AM29-Y: Using a mix of 28mm and 30mm diameter tubing, the main characteristic of the DR-AM29-Y is the adjustable wheel base; 1020mm, 1030mm or 1040mm. 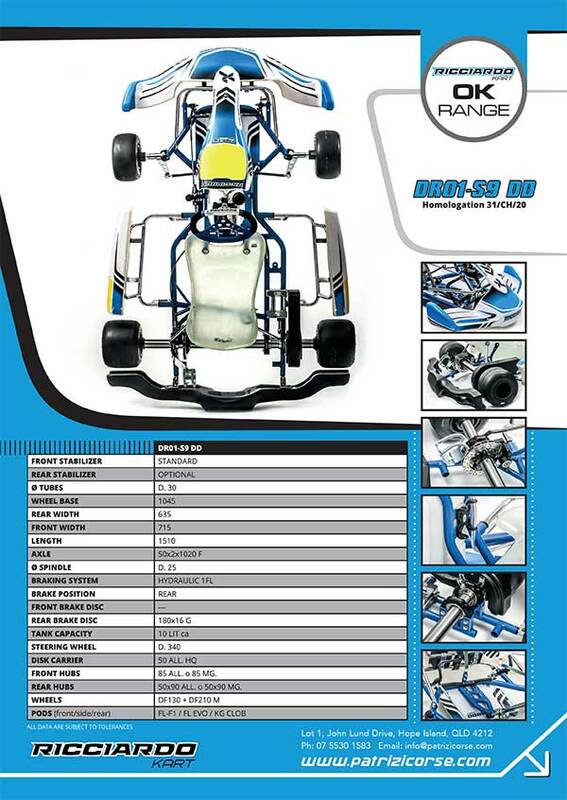 This allows better adaptability to different categories, especially ones with very low power and medium to hard tires. 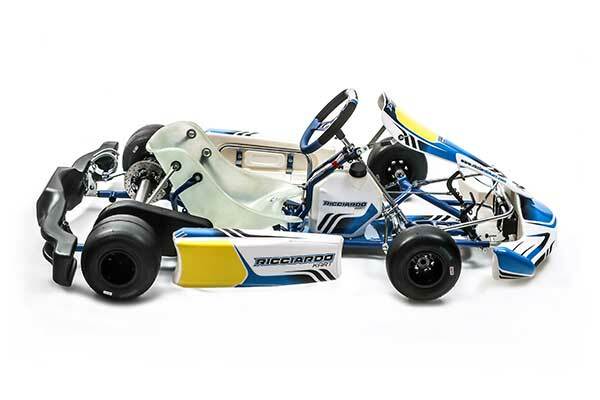 This Kart is perfect for the 4-stroke karting market. 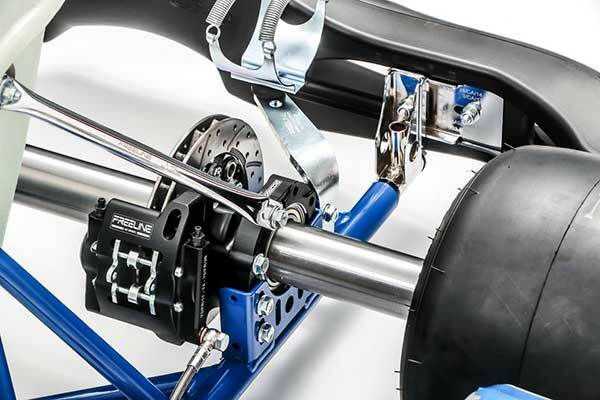 WHEELS: New magnesium wheels DM 130 + 212 type “LPC” (Low Pressure Cast) with wider offset (10mm) for the rear. 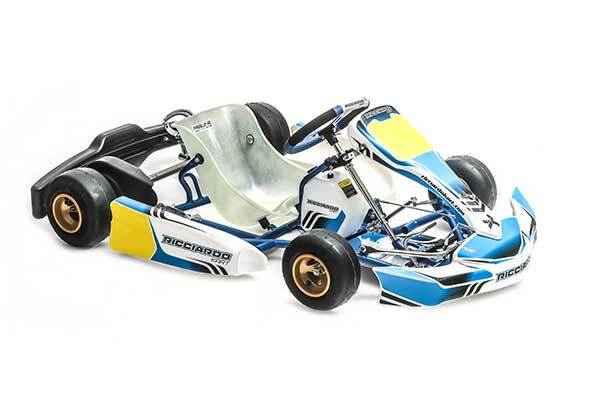 FRONT POD: New homologation 007/BF/99, this new “F1” model fairing from FREELINE will come on all “Racing” series karts. 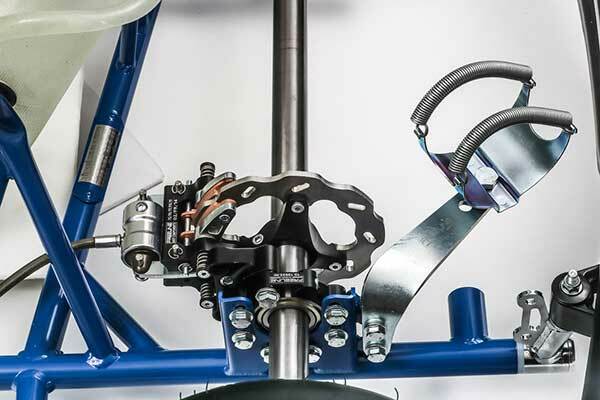 Studied and tested via CFD, the innovative look allows cooling of the brakes without any turbulence to engine ventilation. 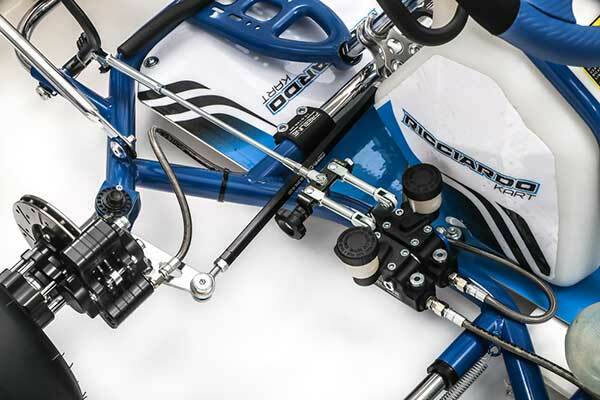 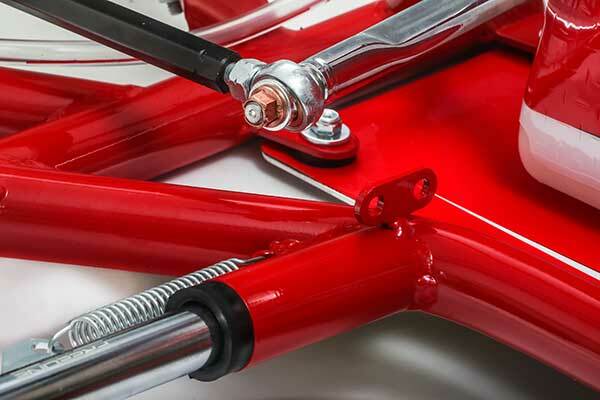 REAR POD: As standard, the Racing karts will be assembled with new rear pod KG CLOB. 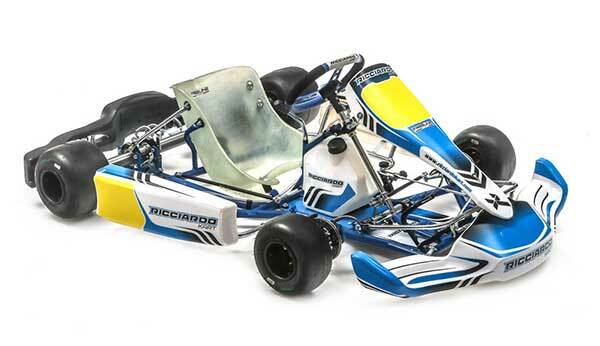 GRAPHICS: Updated for the new front “F1” nosecone. 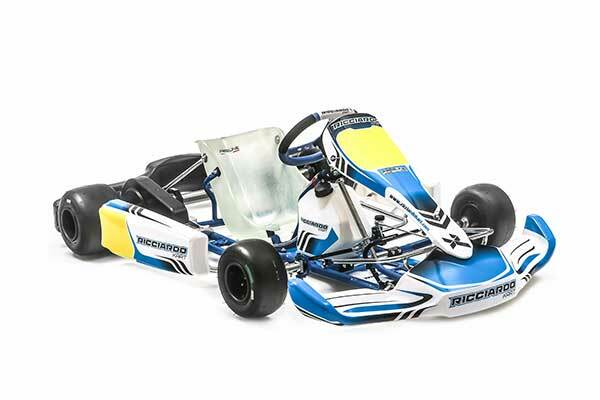 SPORTSWEAR: A partnership with the famous Alpinestars company will see branded race suits, shoes, gloves and personalised sportswear. 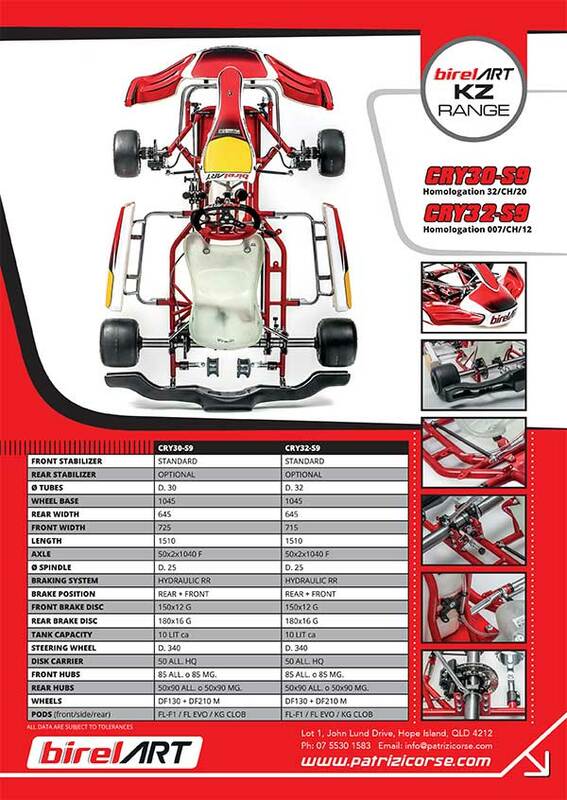 Expected delivery of these chassis should be late December to early January. 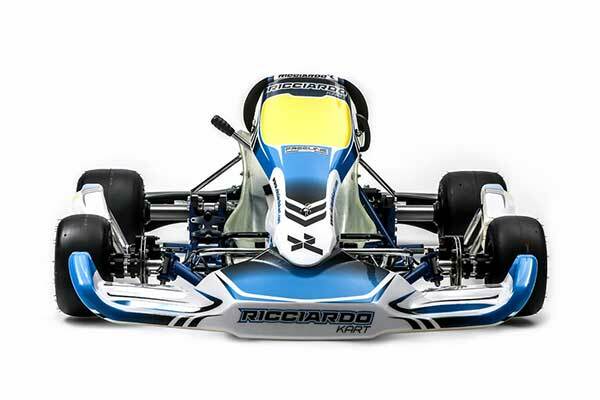 The big news is the colour of the chassis for the 2018 Ricciardo Karts has changed. 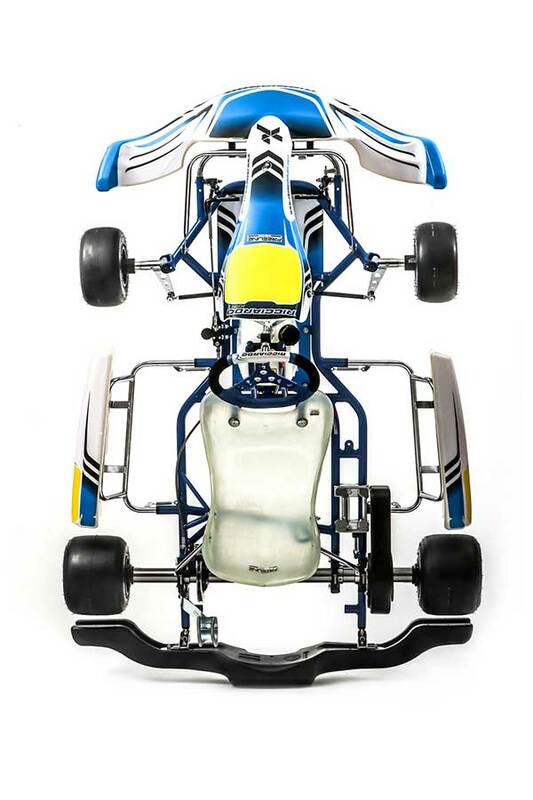 Launched in prestine white in 2014, the karts for the new homologation are now blue and feature black anodised copenents. 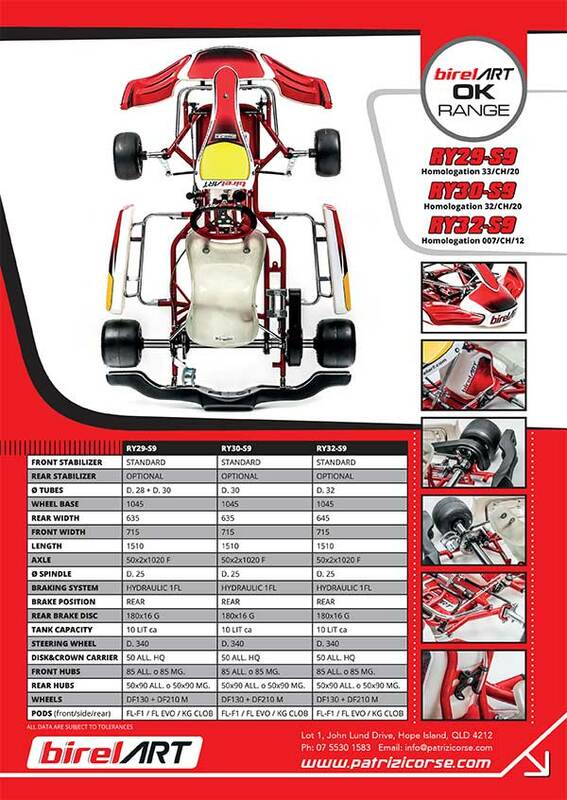 A number of them were used at the SuperNationals in Las Vegas the other week.